Some children are affected by a kind of neuroblastoma that we can’t cure, as it spreads around the body and none of the treatments work. Professor Louis is doing vital research into how and why it develops and resists treatment, so we can start to look for new ways of to treat and eventually cure children with this disease. Before we can work towards treatments for incurable childhood cancers like high-risk neuroblastoma, we need to understand how they spread, and why the current drugs don’t work. Professor Louis’s project will help us learn more. Neuroblastoma is a childhood cancer that originates in developing nerve cells and affects up to 100 children every year in the UK, mostly under 5s. Around 40 per cent of people with neuroblastoma have a high-risk form of the disease that we can’t cure. Sadly, most children with the high-risk disease die, even after receiving all the drugs, radiation, surgery and immunotherapy we can provide. So we need more effective drugs, and to develop them we first need to understand how and why the cancer spreads and resists treatment. We have to look at how tumour cells grow in the body – not in a test tube – because our body’s complex, 3D microenvironment alters how they respond to drugs and limits their spread to other tissues. Professor Louis’s team has developed the first experimental (animal) system, in which neuroblastomas form naturally, in the identical locations to tumours in children. After treatment with chemotherapy, these tumours become drug-resistant and spread to the bones exactly the way they do in children. This is important, as it means that we can, for the first time, study how these tumours interact with their microenvironment to grow, become drug-resistant and spread. Children with high-risk neuroblastoma often don’t survive, despite being given all the treatments available. Those who do survive can suffer serious lifelong side-effects from the aggressive treatments used. Safer, more effective treatments are desperately needed for these young patients. Professor Louis and his team will use their new cancer models to compare naturally developing tumours that they have made resistant to chemotherapy, with those that are untreated, or are still sensitive, in order to identify the gene and protein changes that stop treatments working. They’ll test their findings to make sure, and then use targeted next-generation cancer drugs to reverse the resistance and kill the cells. They’ll also study tumour cells that spread to the bone marrow even after treatment, to find how they survive. They’ll switch individual genes on and off to see whether this kills the cells and will use the extensive range of cancer drugs developed at ICR to target these genes to identify the best drugs to try on children with this cancer. Professor Louis and his teams have already taken 16 new drugs to clinical trial since 2005. In this project, they’re taking the next step to identify and target treatment-resistant cancer and hope to succeed with drugs that expand the lifespan of children with neuroblastoma. 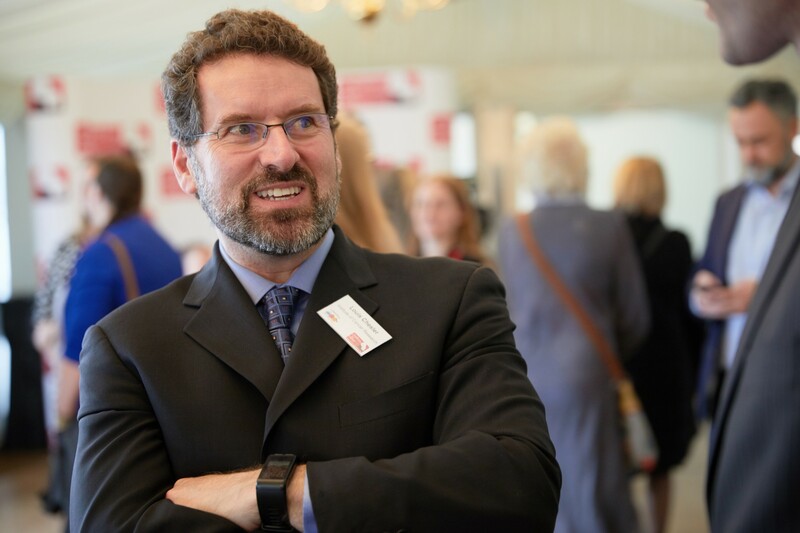 This work is being led by Professor Louis Chesler, Professor of Paediatric Cancer Biology at The Institute of Cancer Research (ICR) and Consultant Paediatric Oncologist at the Royal Marsden Hospital (RMH). In the last eight years, his team at ICR and RMH has developed gene-targeted drugs that are effective as pills and have no side effects for children with cancer. Some of these drugs produce longstanding cancer-free intervals or even cures. The team’s approach is to see how genes can be responsible for cancer, and was highlighted in the BBC programme Panorama ‘Can you cure my cancer?’ The programme showed how they could effectively cure cancer using this approach. Within five years, they moved from identifying a gene to ground-breaking clinical trials.